Viking Cruises launched the Viking Sea in 2016. It is the second ship in Viking's ocean-going fleet, following the wildly-popular Viking Star, which was launched a year earlier. The Viking Sea is almost identical to the Viking Star inside and out. Many cruise travelers have enjoyed sailing on one of Viking's 60+ river ships, and the company has included many of its river fleet's features in the Viking Sea. The biggest innovation Viking has on its ocean ships is the almost all-inclusive pricing, with complimentary beer and wine included at lunch and dinner, free WiFi throughout the ship, a shore excursion included at every port, complimentary 24-hour room service, and no fees at any of the specialty restaurants. One of the biggest complaints cruise travelers have on mainstream ships is that they are "nickel-and-dimed" to death. No such worries on the Viking Sea. In 2017, Viking launched two other ocean-going ships, the Viking Sky and Viking Sun. Here are 10 reasons that the Viking Sea was the hottest new ship of 2016. Like the cabins on her sister ship the Viking Star, all of the cabins on the Viking Sea have a private veranda. Like the rest of the ship, the decor is contemporary and Scandinavian. The cabins have ample storage space, with a nice desk and make-up mirror. The exciting unique features of the Viking Sea cabins include a heated floor in the bathroom, a no-fog mirror in the bathroom, plenty of plugs for charging all those electrical devices (including one next to each side of the bed), and a Paulig coffee maker in all but the basic veranda cabins. If you've never had a bathroom with a heated floor, you've been missing out on a treat. And, those who need to have coffee within 30 seconds of awakening will understand that room service can't get there fast enough, so an in-room coffee maker is a nice touch. The Viking Sea is definitely a Scandinavian ship. It has a restful, contemporary, simple decor and touches of its roots like a Norwegian heritage center and a Norwegian takeaway cafe dedicated to the owner's Norwegian mother. Like her sister ship, the Viking Sea has several excellent dining venues, but the best one is not Scandinavian, it's Italian. And, it might be the best Italian restaurant at sea. Mr. Torstein Hagen, the CEO and chairman of Viking Cruises, named the restaurant in honor of his Italian friend Manfredi Lefebvre d'Ovidio, who is the chairman of Silversea Cruises. Manfredi's Italian Restaurant looks like a classic Italian restaurant, and the menu features many Italian favorites like antipasti, pasta, and seafood dishes. However, the star of the menu is the Bistecca Fiorentina (Florentine Steak), one of the best steaks served at sea (or anywhere else). This mouth-watering, thick-cut ribeye is coated in garlic oil and rubbed with Porcini mushroom powder, kosher salt, brown sugar, and red chili flakes before grilling. All cruise ships have outdoor seating and dining. However, the Viking Sea seems to have more. This spacious, 930-guest ship never feels like it is crowded, and there always seems to be space outdoors (or indoors) to sit. Those who have searched for a quiet lounge chair or a table to eat lunch outdoors will definitely appreciate the Viking Sea. The Viking Sea has two swimming pools--an infinity pool aft overlooking the wake of the ship and the main swimming pool, which can be either indoors or outdoors since it has a retractable roof. This is surprising since the ship primarily caters to an older demographic of North American travelers. However, this demographic is active and many over 55 love to swim, so maybe the indoor/outdoor pool shouldn't be surprising. Some might be surprised that the Viking Sea doesn't have a water park. Since guests have to be at least 16 years old, the company wisely decided it wasn't necessary. Many cruise travelers appreciate art, and the Viking Sea has (literally) paid a lot of attention to giving its guests interesting pieces to view when walking the stairs or hallways. Those who want to learn more about the fascinating art can download a tour of the onboard art narrated by the ship's Godmother Karine Hagen. The piece in this photo is in the atrium stairwell. Those who have seen the Bayeux Tapestry in France might remember that this ancient embroidery (it's not a true tapestry) dates back almost 1000 years and celebrates William the Conqueror's victory at the Battle of Hastings and his subsequent coronation as King of England. It's most likely not a coincidence that William was a Norman (Norseman). The tapestry at Bayeux is about 75 different scenes over 230 feet in length, and the Viking Sea has at least a dozen adorning the stairwells. Looking at the various scenes makes stair climbing more interesting! Several river vessels and ocean ships have herb gardens onboard, but the Viking Sea has a lichen garden under the atrium stairwell. It's fascinating and adds some color to the below the stairs space. Like the Viking Star interiors, the design of the Viking Sea is uncluttered and homey. The interiors of the Viking Sea cruise ship are open and well-lit by the sun. One of the most spectacular places to see the views of the ocean are in the Explorers' Lounge. This forward observation lounge is spread over two decks and is one of the most attractive at sea. On the lower level is Mamsen's, a Norwegian takeaway eatery; tables and chairs; a bar; a library and reading area; a grand piano and dance floor; and a faux fireplace that looks eerily real and adds a cozy touch to the lounge. On the upper level are more shelves filled with books on explorers, maps, a large video screen, and interesting travel collectibles. Many cruise travelers love to visit a spa when on vacation. The Viking Sea has a full-service LivNordic spa, with all the treatments an exhausted traveler might desire. The spa also has a marvelous unisex thermal suite, which is complementary to all guests. This is a rarity at sea and a real treat. The thermal suite has a thalassotherapy pool, hot tub, a therapy shower, and a bucket filled with ice water to pour over your head if needed. The thermal suite has padded lounges as well as the ceramic heated ones so popular on other ships. Although part of the thermal suite, the snow grotto has quickly become popular with the guests. It has a bench to sit on, and the snow is really ice shavings, but it will cool you off. Visitors to the snow room should take along a towel to sit on; otherwise, they might get frostbite on their buns. Both the men's and women's changing rooms in the LivNordic spa have a dry sauna and cold plunge pool. 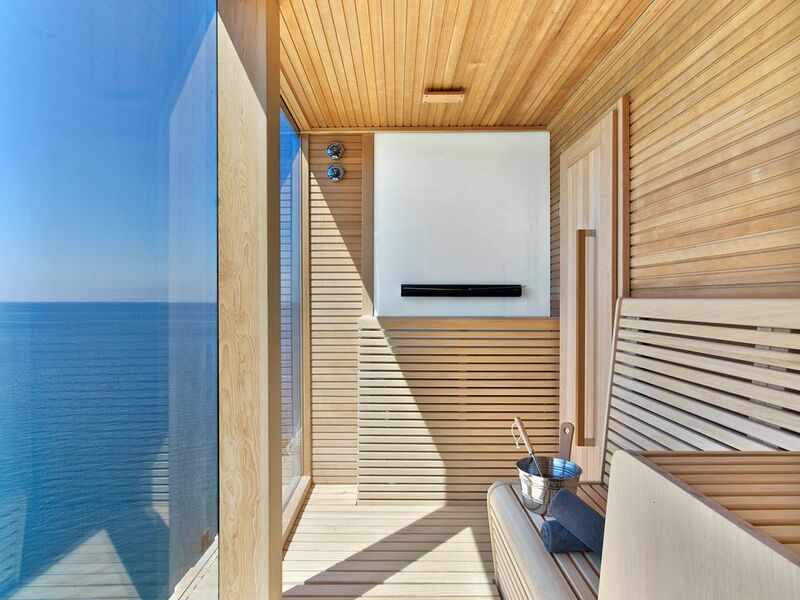 However, those who love saunas and have larger budgets might want to book the Owner's Suite, which has its own private, oceanview sauna. Occupants of the suite can detox and enjoy an ocean view at the same time. 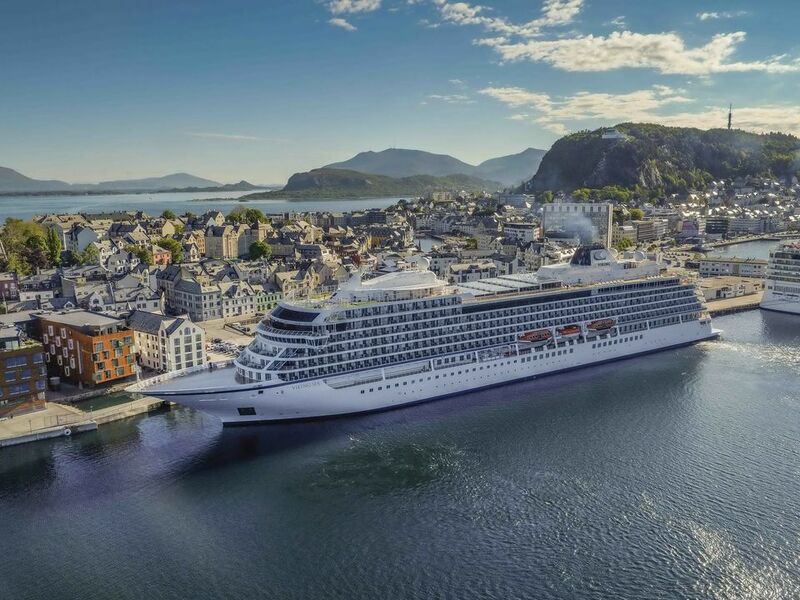 The Viking Sea sails a variety of European itineraries in the spring and summer months, traveling to the Baltic, Arctic, and Mediterranean Seas, northern Europe, and the British Isles. In the fall and winter, the ship visits North America and the Caribbean. The Viking Sea is a fantastic cruise option for adult travelers who are into lifelong learning and appreciate excellent service, fascinating ports of call, and delicious food. With Viking Cruises' almost all-inclusive pricing, the basic fares might seem high, but when guests consider what is included, the cruise ship provides great value for the fare. Those who never want to take an organized tour will be paying for one tour per port as part of the basic cruise fare. Those who love gambling won't find a casino onboard. Those who want to bring their children or grandchildren (under 16) along on vacation won't be able to sail with them on the Viking Sea (or other Viking Ocean ships). Other than those groups, this ship might be a perfect choice for almost every other traveler.